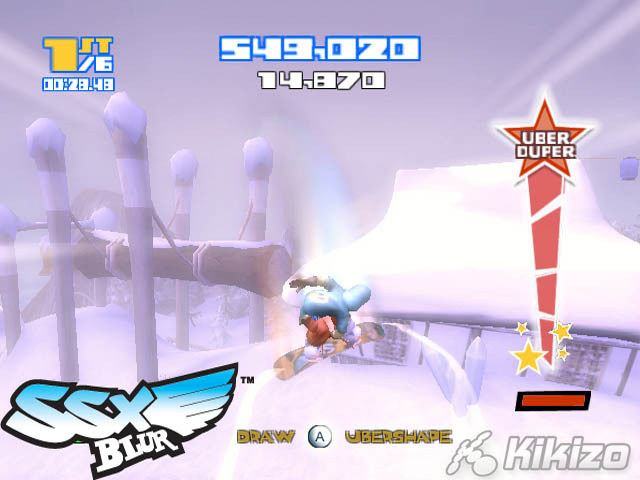 This is a real shame, because other wise SSX Blur lives up to the boom and bombast of previous instalments. 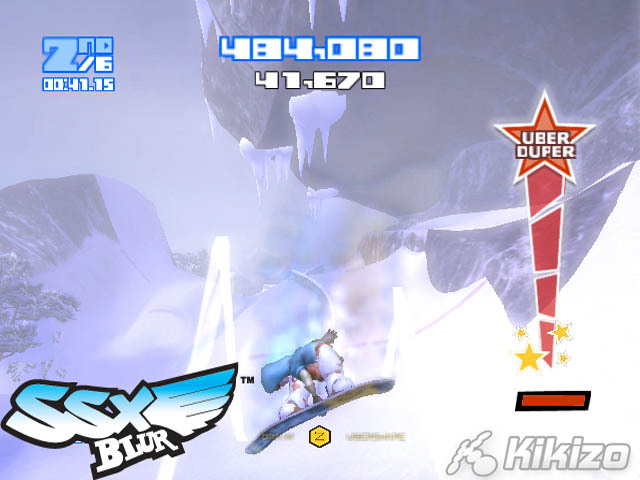 Power-ups are littered around the courses, and finishing courses not only unlocks new levels as expected but also allows points to spend on your characters attributes. New gear and characters are unlockable and you will need serious dedication indeed to unlock everything that this game has to offer. 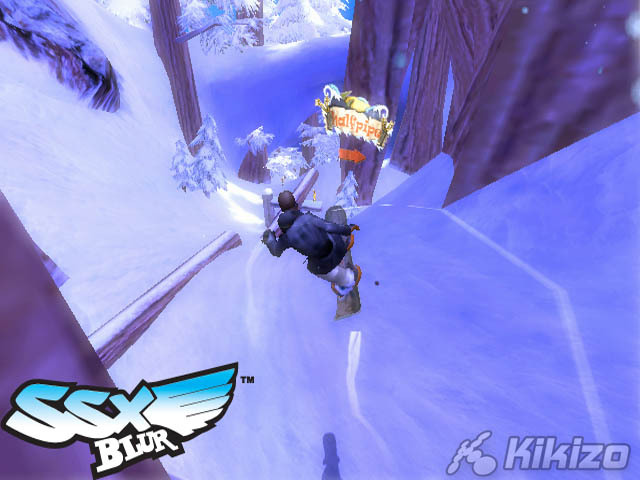 Races are the main fare through the game and like previous SSX games the player prepared to take the chance to get off the beaten track will often be handsomely rewarded. If you are struggling to get in front of a enemy, you can now smack them with snowballs. 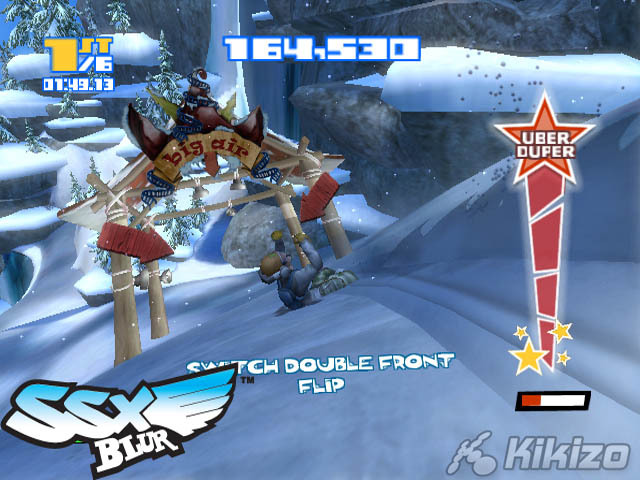 It has to be said none of the racers in the game are particularly stable on their feet and a snowball to the back of the noggin is enough to see them tumble from their board cursing your frosty missile as it melts its way down the back of their neck. Brrrrr! 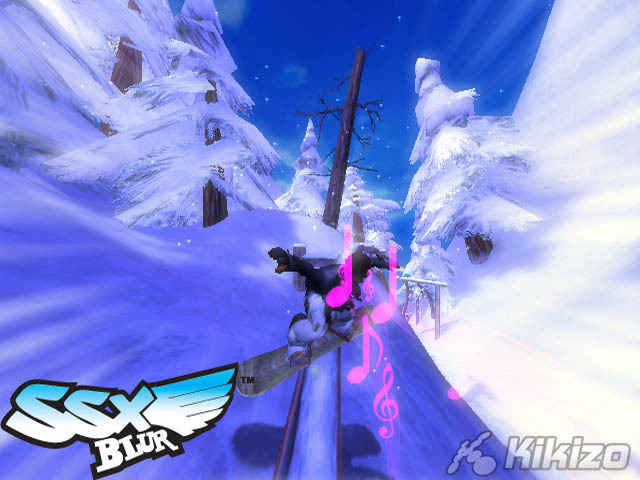 "Music has always been a fine factor in the SSX games and Blur is no exception." 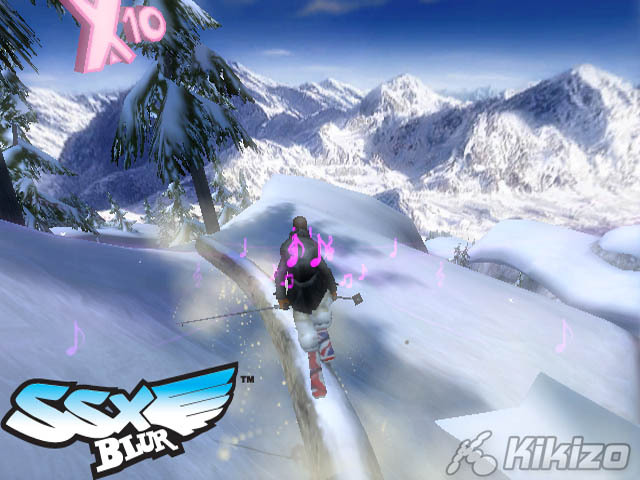 Music has always been a fine factor in the SSX games and Blur is no exception; with pumping tracks and the exuberant DJ shouting words of encouragement as you descend down the slopes, 't's a big party out there! What is noticeably lacking is any voice acting on the part of the characters themselves. I'm sure the Wii has the power to handle Moby slagging you off when you wipe him out, so why is it not here? This is a much missed loss and characters including Moby and Psymon lose much of their personality because of it. 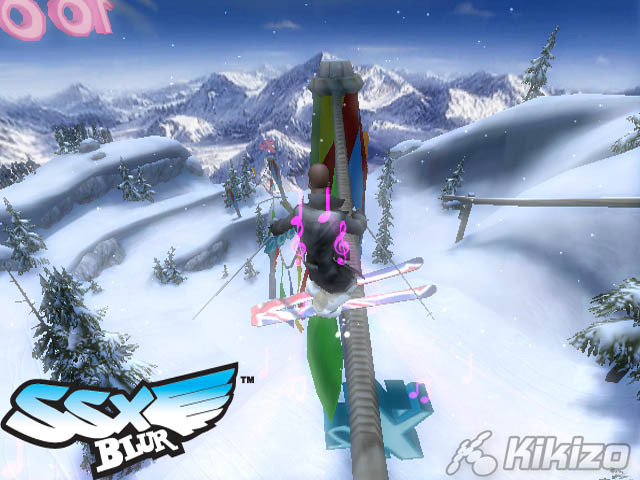 SSX Blur really has tied its own bindings together before it gets out of the start gate. The actual game is fairly massive, with so many competitions and characters that it could take you a life time to get bored - if it wasn't for the controls. Steering your way to victory on the races isn't much of a problem when you get used to the track, but when trying to beat down the opposition on Big Air events it seems the controls are working against you instead of for you. It's like trying to compete in the Olympic Slalom event by climbing into an supermarket trolley to realise as you hit top speed there's a dodgy wheel. This is another title that shows up motion sensitive gaming's flaws instead of playing to its strengths - and nearly 6 months into the Wii's life, it's another missed chance to make a game worthy of true success for the console. How many of these chances are developers going to miss before Wii owners turn their backs on new games in favour of Wario Warez, Wii Sports and Zelda ad infintum? 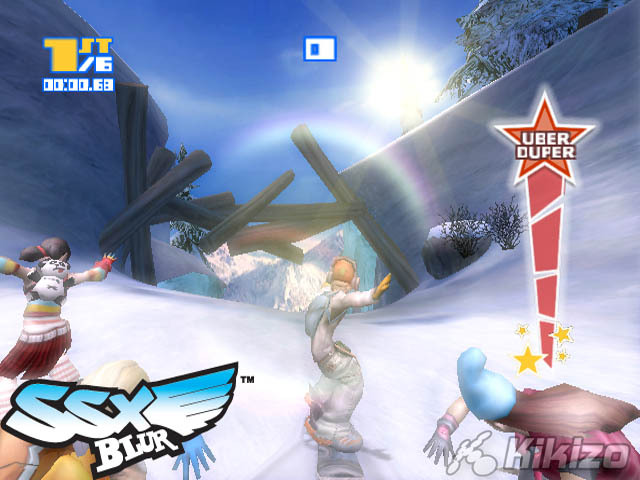 I feel this review is harsh on SSX Blur and EA as the game has obviously been crafted lovingly by the programmers involved and it does bear all the hallmarks and style of previous SSX games which make the series so well loved. 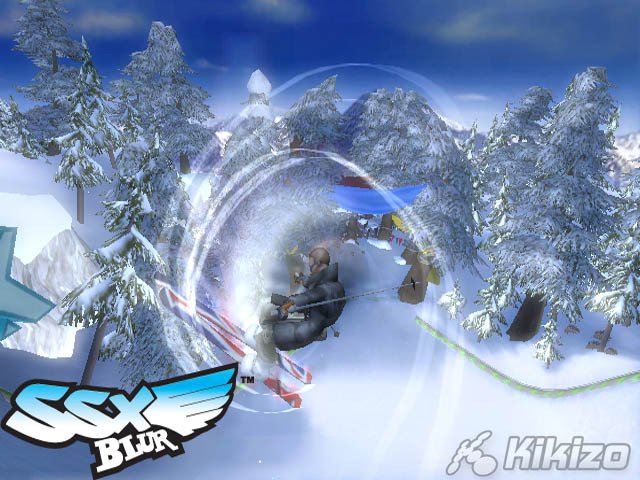 The sheer amount you can do on the slopes is superb and I'm sure it will bring tons of enjoyment to Wii owners around the globe. The fact remains however, great games come from the ease and intuitiveness of their controls, not the amount of time you spend giving yourself arthritis of the wrist so you can beat your friend's high score. THE VERDICT: ArrrggghhhHH! EA Big deliver a massive game with tons of characters, only to make the controls as fluid as a tractor�s rusted gearbox. It is fun when you finally get to grips with the controls, but why make them so difficult in the first place?